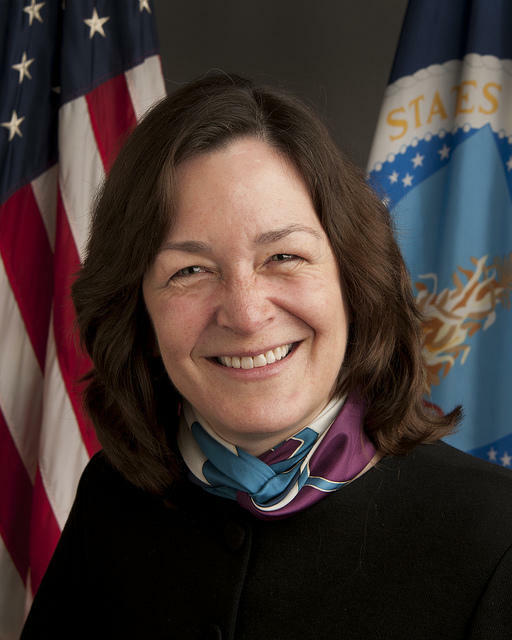 Leslie Wheelock, Office of Tribal Relations, U.S.D.A. A top official says she hopes to create a better dialog between tribal governments in Wisconsin and the U.S. Department of Agriculture. Tribal Relations Director Leslie Wheelock met in Mole Lake with tribal representatives and organizations in the region under the U.S.D.A. umbrella. "....it's very difficult to get all that information not necessarily to the tribal leaders office, but to the tribal leaders office an to a person in the tribe who can respond to whatever it is that's being issued....."
".....rural America is underserved in areas of broadband, the American Indian nations as well are installing their own broadband that they have paid for. In some cases they have put in broadband facilities with (Recovery Act) funds from a few years ago...."
She says farming and tourism are two industries that would greatly benefit by having better broadband in rural areas. She says if they can figure out how to bridge that gap to the tribal governments, they will also be helping all of rural America. U.S.D.A. is a primary funder for broadband. The Lac du Flambeau tribe is moving forward with a plan to bring high speed internet access to the Lakeland area. The tribe has formed Ogema Communications, a company it hopes will deliver broadband access not only to tribal lands, but other parts of the Northwoods. Tribal spokesman Brandon Thoms says access to high-speed internet would stimulate job and business growth.